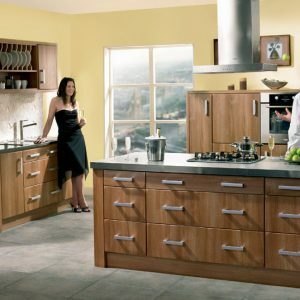 The Malmo wood grain kitchen is a range of five timber veneered kitchens within the Malmo range. The most extensive range of timber veneered doors that i am aware of on the peg and ready to deliver in the Uk. 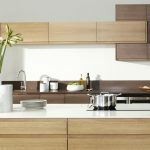 The five colours of the Malmo veneered kitchen range, range from a Bleached oak through to a Fumed oak, an extensive collection of beautiful doors. 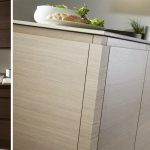 These oak veneered doors are often used as “pieces” within a handleless kitchen design that is otherwise in a matt or gloss paint finish. 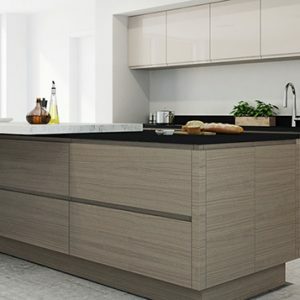 The well thought out ranges of Malmo, Isala and Otto kitchens from Burbidge in Coventry synergise together to form a whole raft contemporary handleless of choices. Fumed oak? If one places a piece of oak or oak veneer in this case in a fumigation tent with an Ammonia source the oak will take on a progressively darker appearance depending on the exposure time to the ammonia. 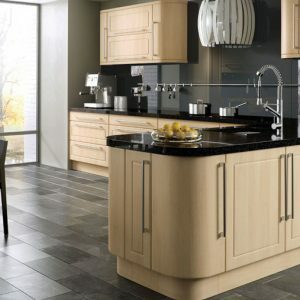 The Fumed oak in this range is certainly fumed. 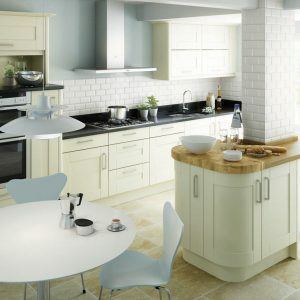 I believe the Mid Tone Oak and the Smoked Oak, within this range are also fumed but to a lesser extent.